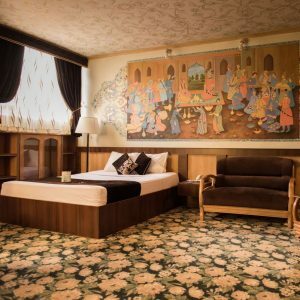 Setareh Hotel of Isfahan Setareh Hotel is located within the historical context of Isfahan, and it has an estimated 500 meter distance from the city’s main historic and touristic sites such as Ali Qapu Palace, Naqsh-e Jahan Square, Lotfollah Mosque, etc. A combination of traditional architectural style with the modern one was used in constructing this six-floor hotel, making it able to satisfy the wide range of tastes that the guests have. Serareh Hotel has one traditional restaurant, a summer (roof) restaurant, and a regular one. The quality of the food and other services all accord with the latest hotel management standards around the world.